This simple game of chance is a great way for kids to use logic and practice simple addition. 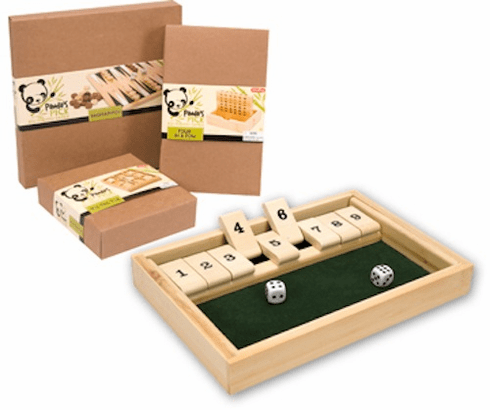 The 10 x 6.75 inch box is made from renewable bamboo. Pair of dice, and game instructions included.